As being a sailor originally, I sailed many small boats and cats till the age of approx 25. It took me 20 years not to buy another sailing boat. Instead I took a first kite lesson somewhere in 2010 I believe. My aim was to understand kites and to be able to control them. Didn’t want to go kitesurfing, that’s something different. From the moment I steered a kite I was lost, because I immediately I felt the potential power of a kite just by flying it. ( When it has much more apparant wind and generates so much more power compared to a static sail. Trying a kite on several dinghies (a laser, an old FD) we realised the hull form had to be totallly different from masted monohulls. Masted boats need their volumes in different area’s. We allways had the aft almost going under water and the nose up in the air. Helming therfore became quite tricky sometime. I was lost, convinced and addicted to kiteboating. If using a race kite, which is purpose build for speed, so with more upwind abilities, you can reduce heeling momentum and increase forward forces (provided that the 2 situations kitepull forces are is the same. In bigger winds do not fly your kite to agrressive. Park or just some smooth sinussing only when you want to have more power ( the faster you fly your kite, the forces can be multiplied up to 8 X,) Flying to agressive and fast will lead to out of control. 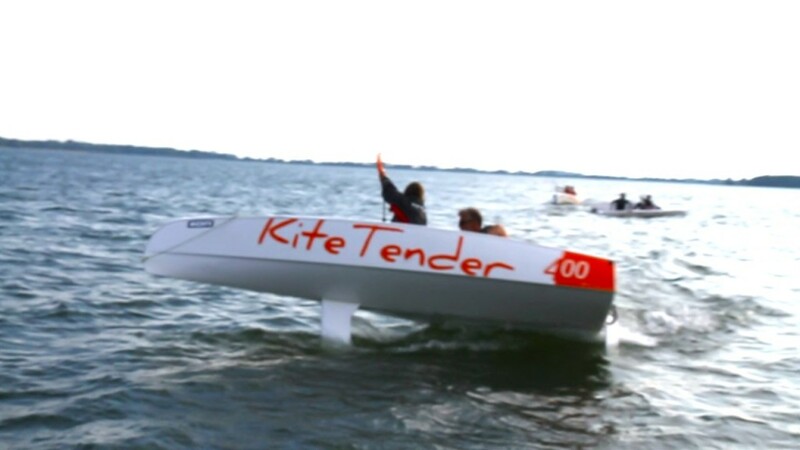 A kiteboat, a 10 meter one, would not need a 50% ballast keel. So comapred to masted boats kite yachts can be buid narrower, with less ballast, so lighter. You can design a boat with appendices to reduce even the low heeling momentum of a monohull. You would not need a catamaran to cope with the big heeling momentum to get faster, Instead, you could design a narrow hull combined with heeling control, which would even be faster than a catamaran. The extra dimension of a flying sail made me addicted to sailing again! Even counted in my lack of kite experience. 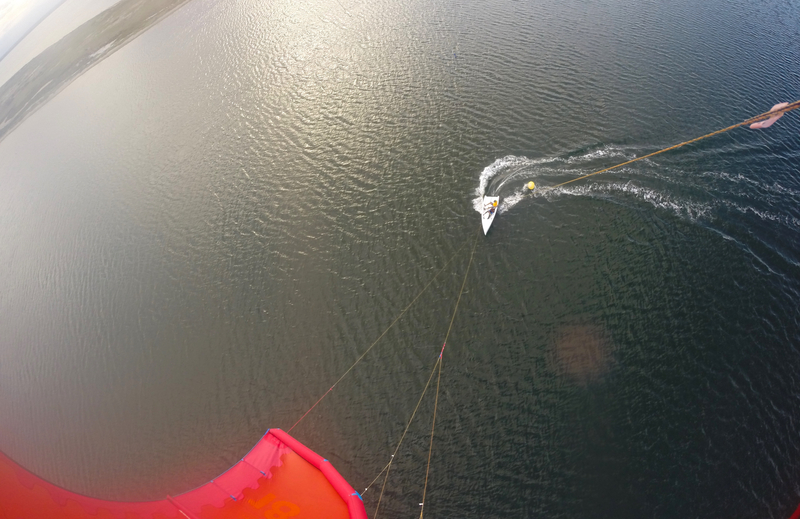 Years later and some complicated prototypes and control systems further, in the end Kitetender became simple and easy to use and as clean as it could possibly get. 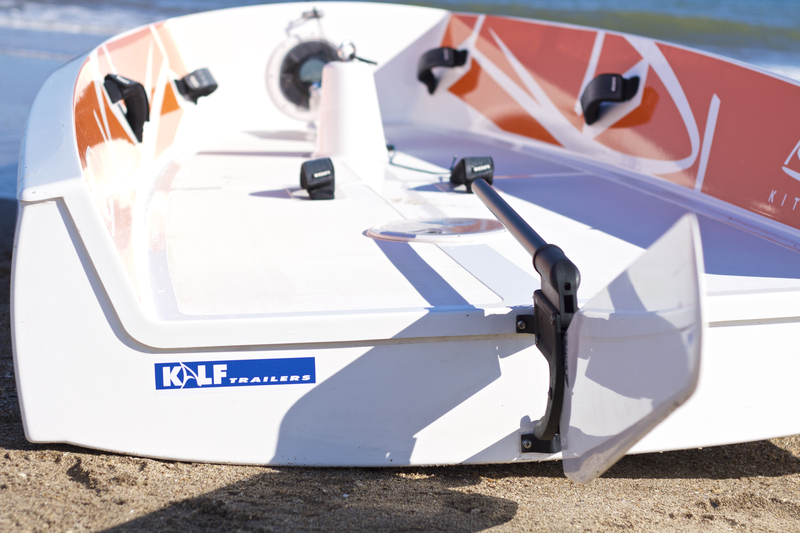 The Kitetender400 moulds have been made in 2015. 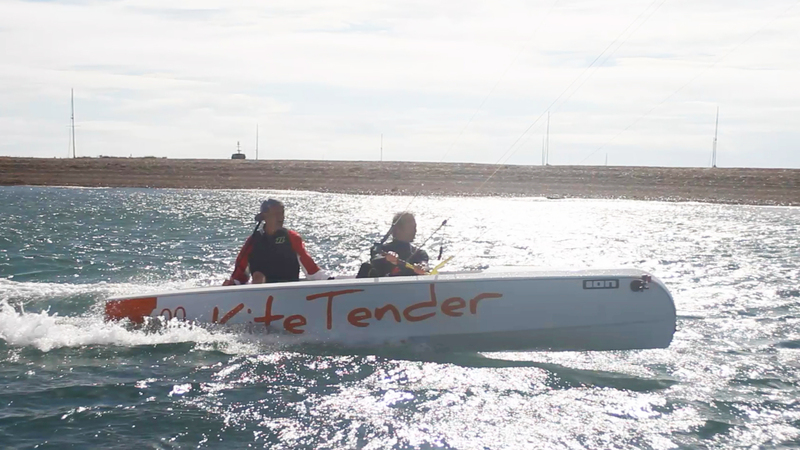 Now the Kitetender 400 is the most easy accesible kiteboat dinghy you can play with. Tacking, accelerating are great standard options. Just imagine you would have to pull out your daggerboard while coming out of sea and landing a beach? You certainly would not want that! 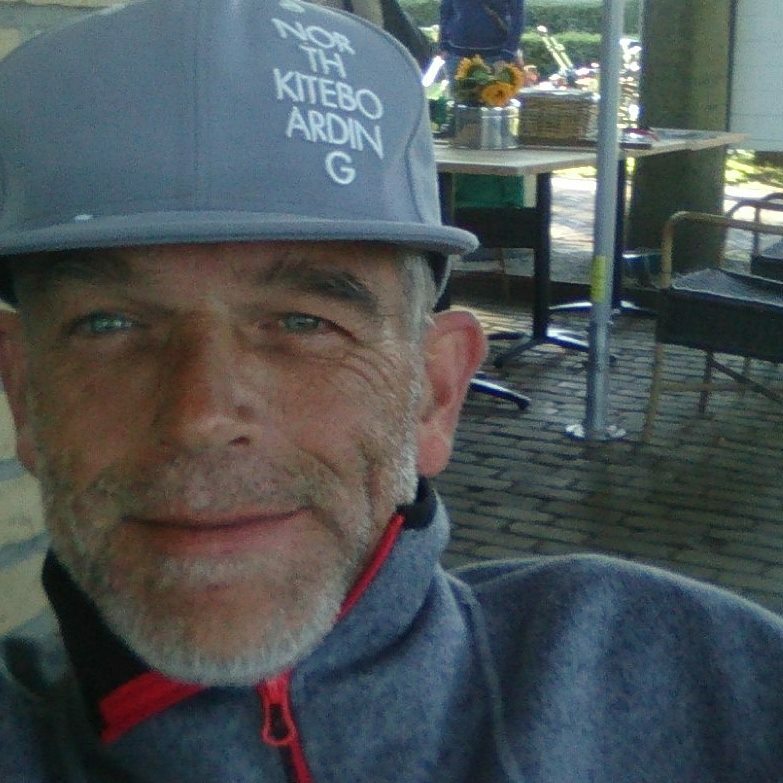 All experiences with kitesailing at sea and lakes are standard in Kitetender. 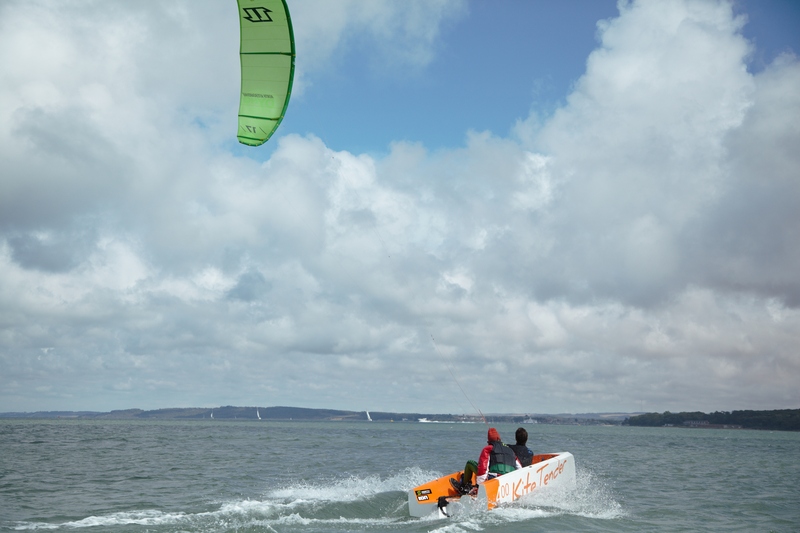 It doesn’t make it the cheapest dinghy ever, but it guarantees FUN and it does make the kitetender highly suitable to rock the waves and go extreme if you want to. It all depends on crew competence and timing. So the designer Peter Schermer and I made a foolproof kiteboat with all options built in where ever possible and affordable. And if you want, you can go extreme with it, but be carefull that crew is experienced and had some sessions of training to know the do’s and dont’s. The full speed downloop gybing, and speeding up to 20 knots of boatspeed, without hiking, trapeze or whatsoever can be tricky but is amazing nice and cool and gives you an incredible feeling within a playfull kiteboat concept. 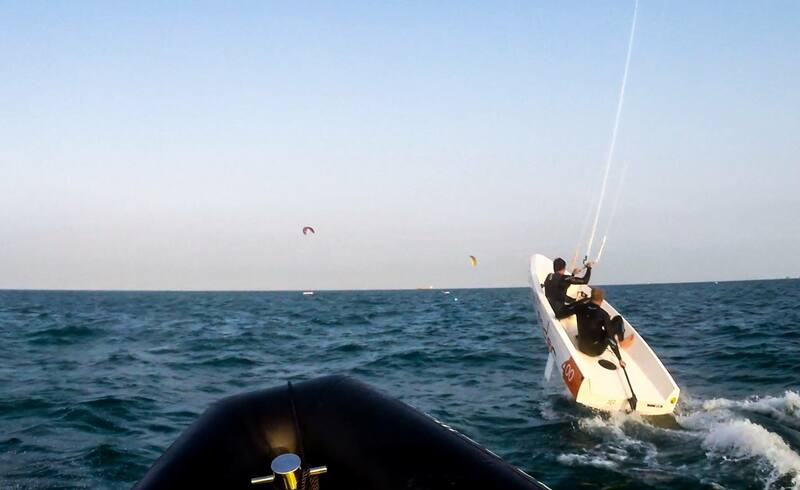 Nowadays, everyone who is starting to kitetender with a small kite in first sessions and going to use a bigger racekite will experience the insane possibilities and nice smooth behaviour of the playfull kitetender400. first kiteboat that can tack! or start at a beach at the NorthSea and pass all waves. Below some examples of how exciting sailing can be! Thanks for reading and drop me a message if you would like to. 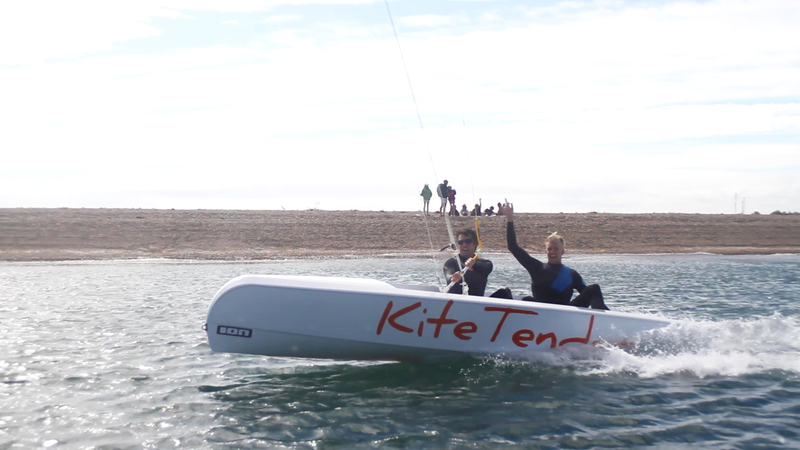 And of course there is The Kitetender, the best working kiteboat for consumer use to have fun with!